Jää-Kotkat fell into the Suomi-Sarja in 2003. Hyvinkään Ahmat fell into the Suomi-Sarja in 2004. 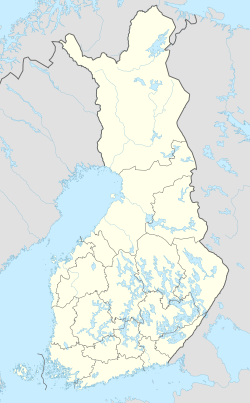 KalPa was raised to the SM-Liiga in 2005. Haukat resigned from standings without qualifying in 2006. FPS (ice hockey) and KOOVEE (ice hockey) fell into the Suomi-Sarja in 2007. HC Salamat fell into the Suomi-Sarja in 2008. Kotkan Titaanit fell into the Suomi-Sarja in 2009. Kiekko-Laser went bankrupt in 2011. Vaasan Sport was raised to the SM-Liiga in 2014. HC Keski-Uusimaa was abandoned serial place in 2014. KooKoo was raised to the SM-Liiga in 2015. Jukurit was raised to the SM-Liiga in 2016. JYP-Akatemia fell into the Suomi-Sarja and was terminated in 2017. Hokki went bankrupt in 2017. Espoo United went bankrupt in 2018. This page was last edited on 17 April 2019, at 18:44 (UTC).